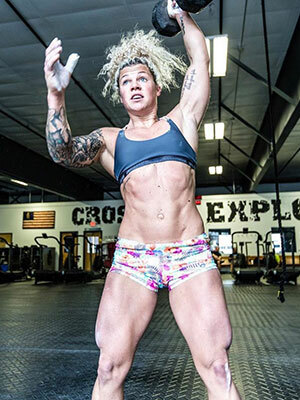 Paige Henry has been an avid CrossFitter for four years now. After years of commercial gyms and traditional workouts, she decided to change it up and give CrossFit a try. After her first workout, Paige immediately fell in love. Paige recently got her CrossFit Level 1 certification in 2014 and couldn’t be happier being a coach at CrossFit Explode. The past four years hasn’t been an easy journey for Paige. She has spent endless hours at the gym working on strength, skills and extra metcons. It is said at Explode that nobody works harder! That hard work has paid off for Paige as an athlete and affords her the ability to coach others.